Whenever I leave Nairobi, my attitude towards Kenya improves dramatically. Fresh air, fresh food, greenery and lack of traffic all contribute to this improvement. Stuff happens in Nairobi, but if I were to live here again, “upcountry” is where I would want to be most of the time. 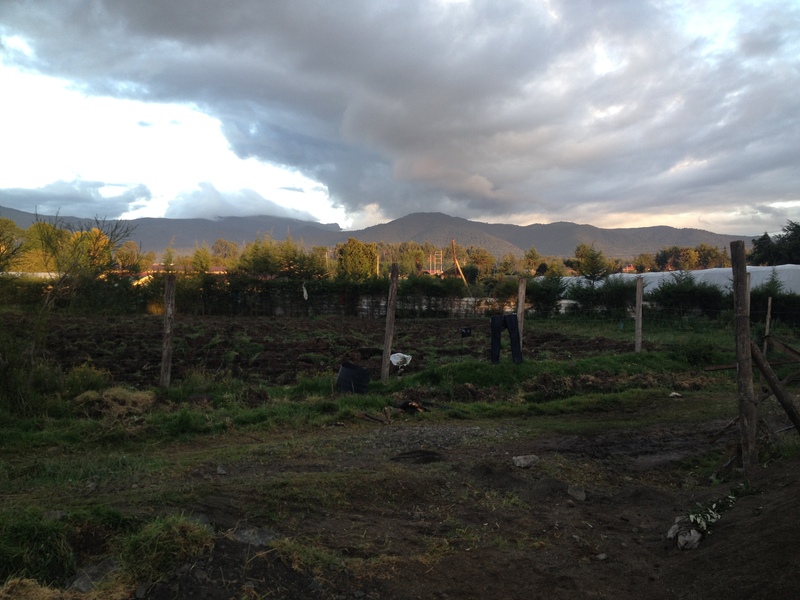 Yesterday I got to visit an aquaponics project in Kinangop, at the base of the beautiful Aberdare Mountains. The day before, I looked up YouTube videos of aquaponics projects in Kenya, called the guy and arranged to have him drive us the 2 1/2 hours to go see it. Since we’re looking for a manager for our Food Source aquaponics project, I took our strongest contender for the position, Kennedy, he took off work and we were good to go. The next morning, Edward instructed us to meet him downtown at 10:00 AM. He called at 10:00 saying it would be 11:00, then at 11:00, apologizing but telling us it would be 12:00. At 12:00, he told us he was having car issues and wanted to meet us across town at 1:00. We took a matatu (mini bus) there, called him when we arrived, and he said he was stuck in traffic. At 1:30, he finally arrived and we began our journey North. With only a quick stop for Nyama Choma (grilled meat, intestines and all) along with some roads that had probably not been re-paved since independence, we made it without much ado. Posterity Farm was beautiful. At an elevation of around 8,000 feet looking up at Aberdare National Park, it felt like a cool autumn day in Colorado – perfect. Everything was a vibrant green and I felt like I could breathe again. Life is simple and people make a lot less money than Nairobi, but I’m not sure that’s such a bad thing. People already have many of the things you can buy with money – and some you can’t. It reminds me of the Mexican fisherman story in The 4-Hour Work Week. Check it out and let me know what you think. The business includes a dairy farm, a trout farm, some soil farming and of course, aquaponics. 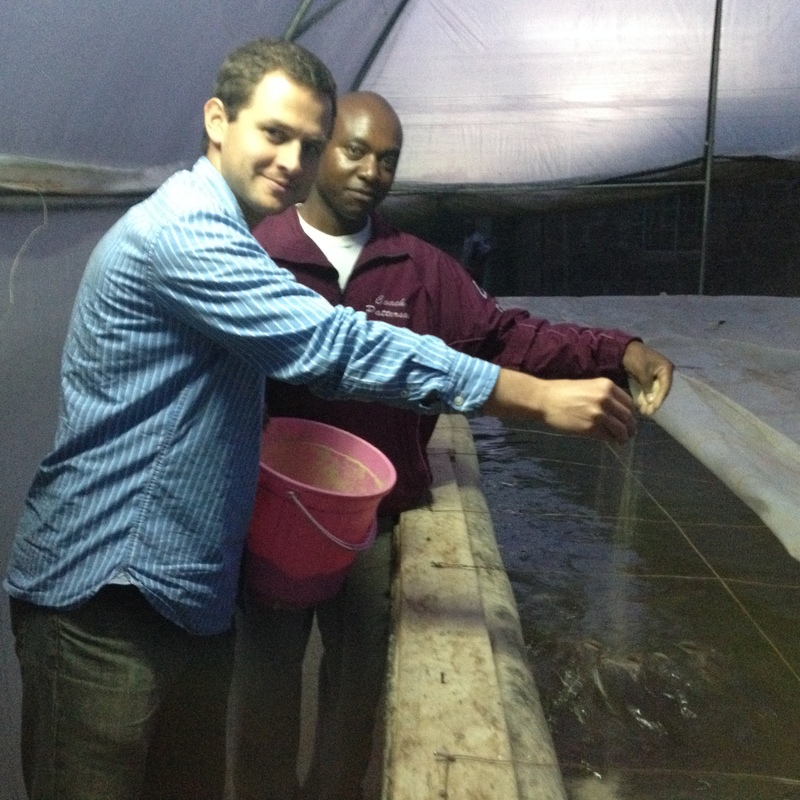 The aquaponics greenhouse contains 5,000 fish (including 1,000 catfish), and grows strawberries that are sold to grocery stores in Nairobi. 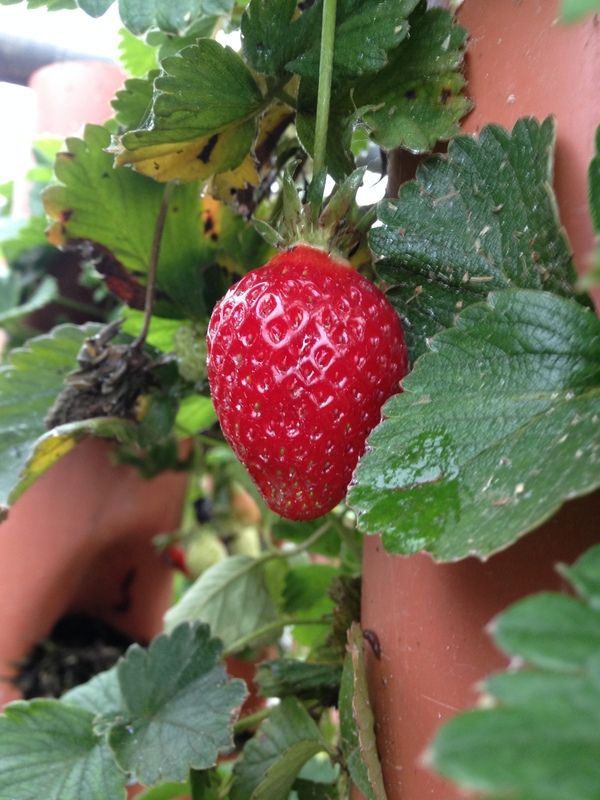 Although they were fighting a slug invasion – many of the strawberries had lost the battle – it was awesome nonetheless and Kennedy began to see the potential for aquaponics in Nairobi. It was cool seeing him light up, ask questions, and think about growing high-quality produce like this in Nairobi. 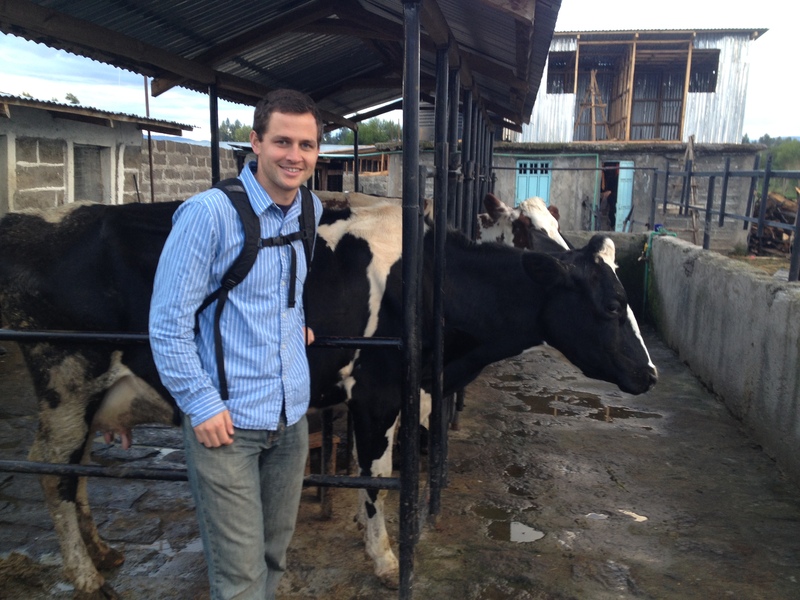 After a quick tour of the trout farm and dairy farm, we hit the road again by sundown and trekked the 2 1/2 hours back to Nairobi. Long day, but extremely interesting and informative. This entry was posted in Aquaponics, Kenya, Travel and tagged Africa, African Culture, aquaponics, Business, Farming, Fish Farming, Kenya, Kinango, Nairobi, Photography, Poverty, Strawberries, Travel by Daniel. Bookmark the permalink. I liked the Mexican Fisherman story. Leads to a higher quality of life for sure. If salt is plentiful and cheap and depending on the strawberry patch size, encircle the patch with it! Sprinkling a bit around will rid you of slugs if they are like our slugs, that shrivel when they hit the salt.